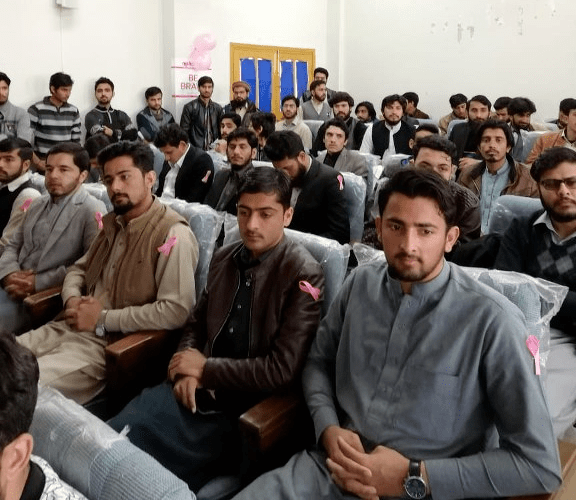 One day Saminar on “Pink Ribbon Day” was successfully conducted by the Department of Medical Lab Technology, University of Haripur in collaboration with District Headquarters (DHQ) Hospital, Haripur on 7th March, 2019. The seminar formally started with recitation from Holy Quran and then praise the Prophet Muhammad (P.B.U.H) with a Naat. Dr. Sadiq Noor Khan HoD MLT, welcomes the worthy Vice Chancellor, Invited Speakers, all faculty members and the participants. 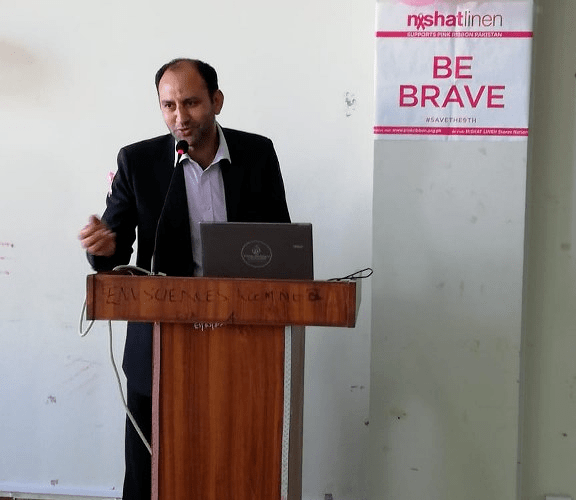 Dr. Sardar Aurangzeb, Surgeon at DHQ Hospital Haripur, gave a introduction regarding the Pink Ribbon Day. 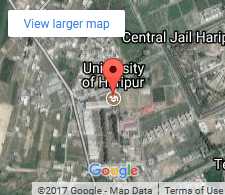 Then Dr. Muhammad Naseem Khan, a well known surgeon DHQ Hospital, Haripur throws light in detail about this deadly and global threat. He explain in detail about the awareness and how to tackle this disease. 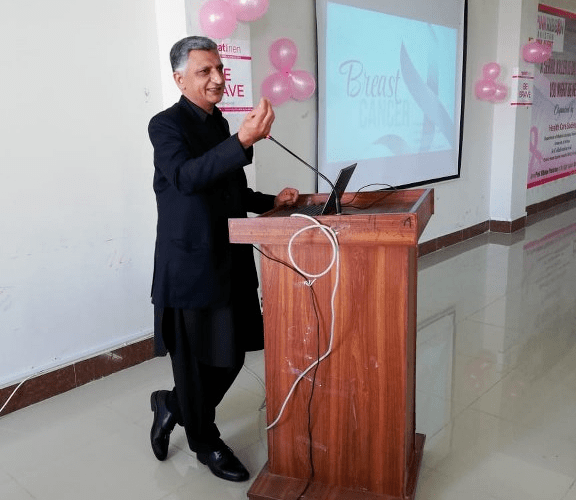 In the last presentation Dr.Saadia Dilawar, a well known gynecologist, DHQ hospital, Haripur put in plain words that how to examined the breast to see the early sign and symptoms of Cancer. She also have a separate sections with female to clear all the unanswered questions in detail. Fund raising of 22800 Rs for breast cancer hospital done by students on donation books provided by Pink ribbon Society for construction of Breast Cancer Hospital. The Vice Chancellor thrown light on the importance of “Pink Ribbon Day” in our society and encourage all the organizers for this fruitful effort. In the last, Abdul Jabbar AP MLT department, conclude the activity with vote of thanks. He appreciated the efforts of “Health Care Society” for this successful seminar. The Worthy Vice Chancellor distributed Shields among the invited speakers and certificates among the organizers. Almost 200 participants attended this activity.